A family-friendly musical performance of eclectic dance-driven fiddle music, with world champion fiddler Mari Black and her trio. Mari will take the audience on a journey around the world of fiddling, with music from Ireland, Scotland, Canada, the Americas, Romania, Argentina, and more. Toe-tapping delight for all! 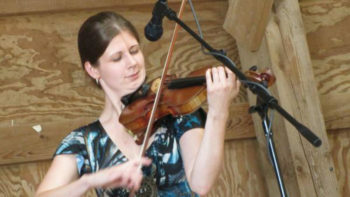 Featuring Mari Black & the World Fiddle Ensemble: Mari Black, violin; Conor Hearn, guitar; and Joe Magar, bass.